Hey guys! Hope you’re all having a great weekend so far! 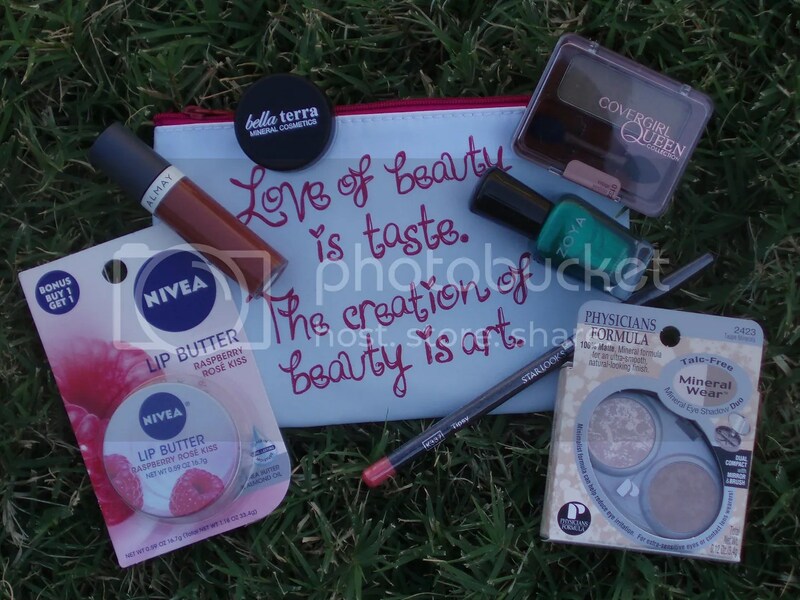 Today’s post is on a product I got from my ipsy April 2018 Glam Bag. 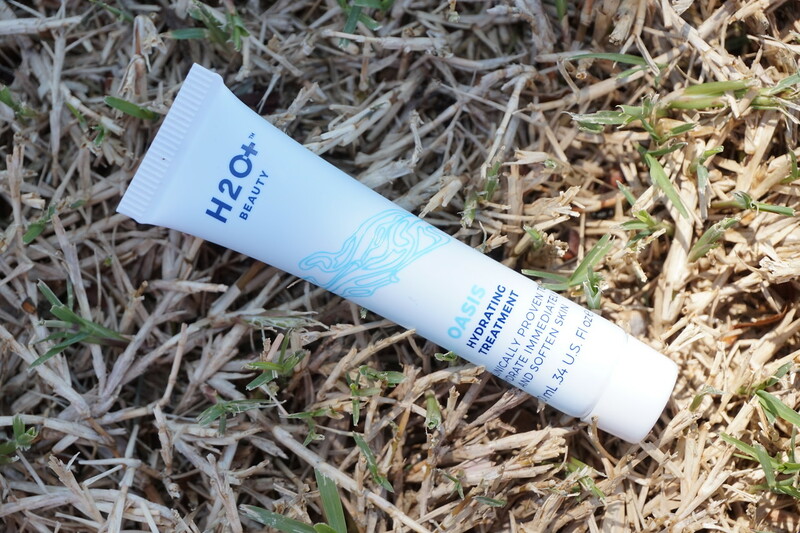 Here’s my thoughts on the H2O+ BEAUTY Oasis Hydrating Treatment. This water-gel moisturizer instantly quenches skin and provides ongoing moisture. Clinically proven to more than double skin’s hydration and hydrates skin for 24 hours. This innovative lightweight formula absorbs rapidly and is great for dry to oily skin types. It features a high-performance formula powered by dual-hydration technology that combines replenishing actives to add moisture while attracting additional hydration, plus protecting actives that support skin’s barrier to preserve moisture. What I love about this product? The product itself is a clear blue gel in appearance. It looks to be very hydrating (makes me think of water droplets!) and has a light marine or sea themed scent. I use a generous dollop of this (it is not watery but not thick like a lotion — somewhere in between, like a gel bead droplet almost) and patted it gently all over my face with my fingertips. I use this as my step 4 in the Korean 10-step skin routine I’ve been doing for months now. If you apply too much of it, it will feel sticky on your face so go easy when you’re using it for the first time. It absorbs really quickly into my skin and has a cooling feel to my face. It feels quite refreshing. I’ve used this product for over a month (love how long it lasts) and I love how light it is while keeping my skin supple. What I don’t like about this product? Nothing really. I have since moved on to trying out several other products for the facial serum step ever since I ran out of this and this is still one of the best I’ve tried. Hey guys! Happy Friday! Today’s post is on a product I got from my ipsy September 2017 Glam Bag. 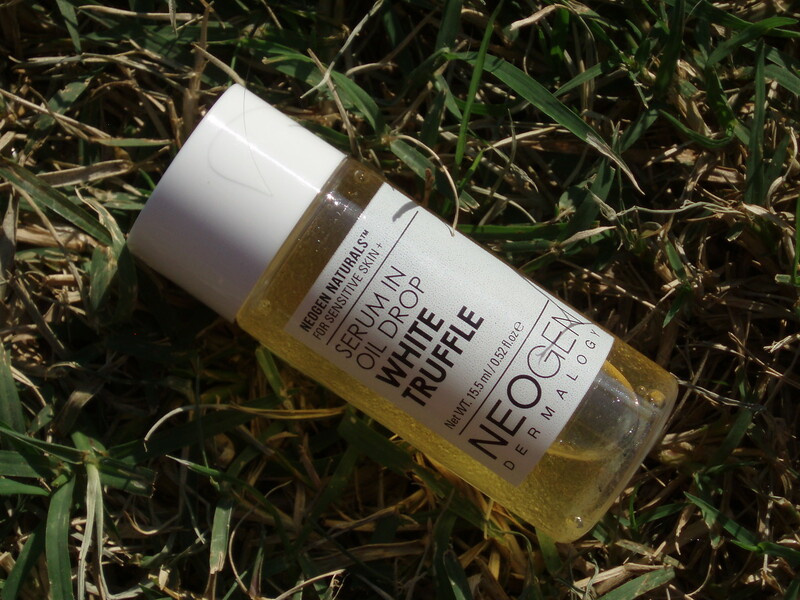 Here’s my thoughts on the NEOGEN Dermalogy White Truffle Serum in Oil Drop. What I love about this product? It is described with the following on their website: “A unique oil drop texture that combines the hydrating effects of oil and moisturizing effects of an ampoule in a one-of-a-kind formula containing precious white truffle. This serum improves dark dull skin tone while giving a glow to skin. The result? You will see a hydrated, bright, and glowing looking skin. Its hypoallergenic formula is perfect for all skin type including sensitive skin.” The product itself is golden yellow in color and is clear. It has a subtle glowing effect when applied onto my face. The feeling left on my face when applied is not greasy at all. I use a generous drop (or 2!) of this and spread it all over my face with my fingers. I use this as my step 4 in the Korean 10-step skin routine I started a little while ago (my nightly routine is now up to 9 steps every night). It is so light that I keep on layering stuff onto my face with no issues on how my face feels with it. To me, there is a scent to it but it’s so light that I honestly don’t even know how to describe it. My husband sniffed it and said he can’t really smell anything, so this is a definite win in my book! I’ve used this product for at least 2 whole months and I love how light it is while making my face feel so soft and supple. What I don’t like about this product? Nothing at all! I am now trying another facial serum as I ran out of this a few weeks ago and let me tell you, this is so much better. I know this is late but I had taken the pictures already so we’ll go ahead with it anyway. 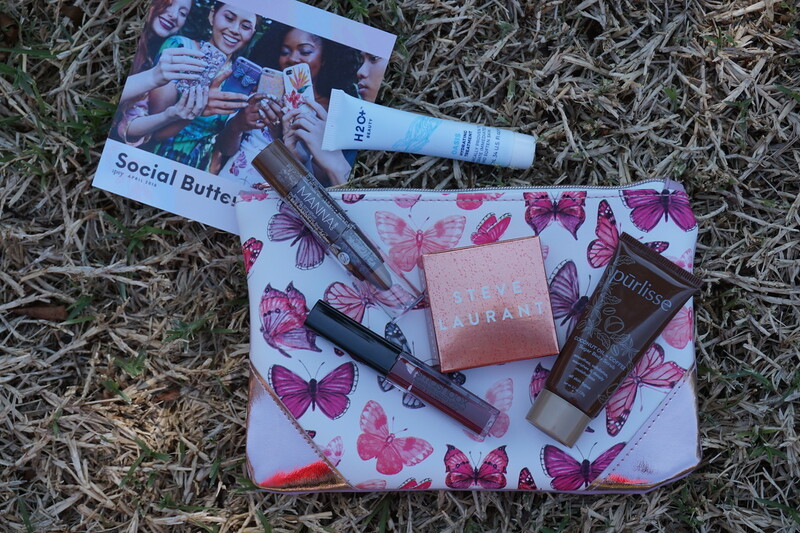 Here’s what I got in my ipsy April 2018 Glam Bag. I LOVE this bag! It’s quite beautiful really. I saved it to give it to my MIL. It makes me think of mothers for some reason (I think it might be the rose gold and the butterflies?). The first item that caught my eye is the H2O+ BEAUTY Oasis Hydrating Treatment. I’m very much into skincare right now so this is right up my alley. 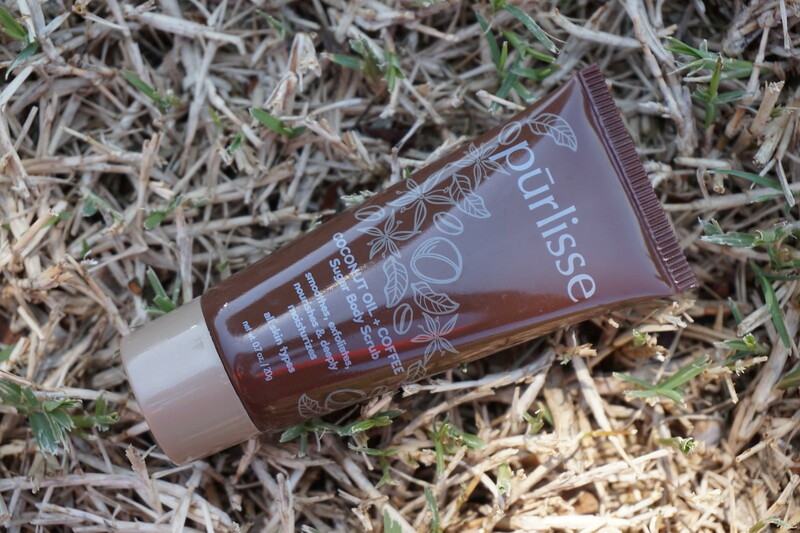 Next is the Purlisse Coconut Oil + Coffee Sugar Body Scrub. I love body scrubs so this went straight into my shower. 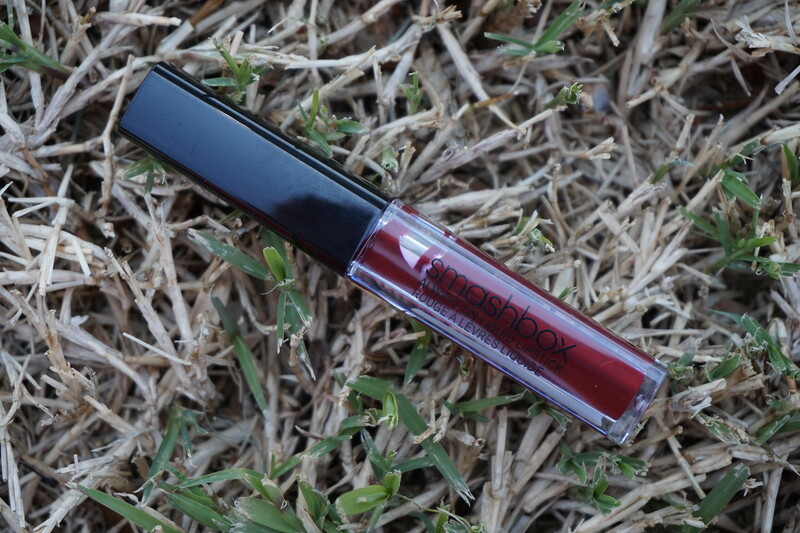 Then we have the Smashbox Cosmetics Always On Liquid Lipstick. I’m still debating if I want to keep this or not. The shade is called Miss Conduct and I’m not sure if it suits me or not (plus, I have a ton of lip products already). 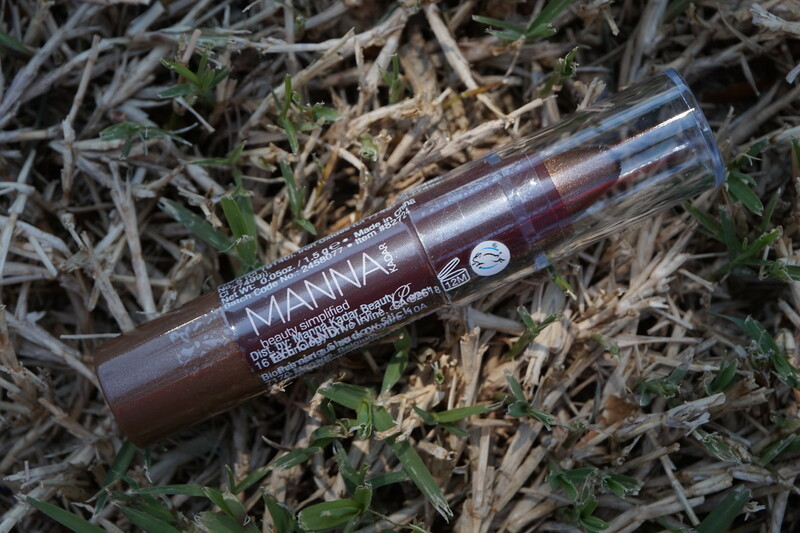 Next we have the Manna Kadar Eye Candy Priming Shadow Stick. The shade I got is called S’more. 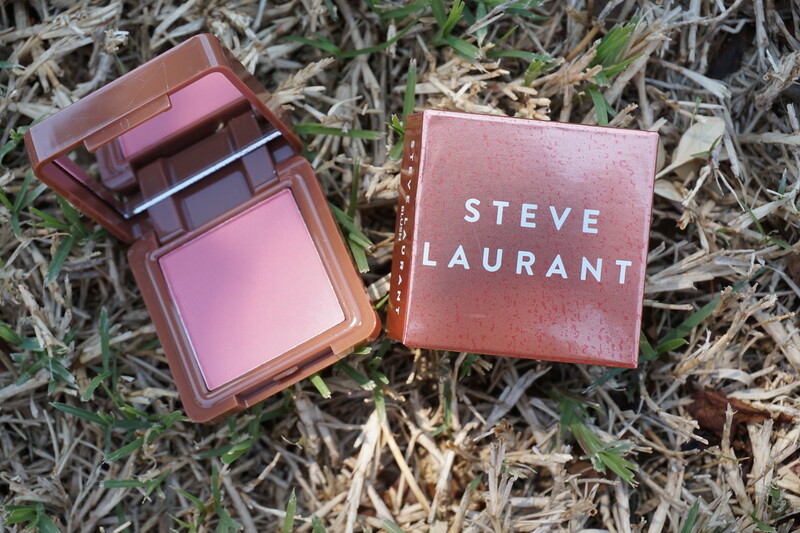 Last up is a Steve Laurant Blush. TI’ve never heard of this brand before but it seems like it would be a really nice blush. The shade I got this in is called Rosé All Day. The other shade some others got is called I’m Blushing. Overall, I’m very pleased with what I got — especially the bag! I hope next month’s bag continues this trend! Hey guys! Only 6 more days to Christmas! Have you all finished your holiday shopping yet? I am! I did most of it online this year. It’s just so much more convenient. Anyway, today’s post is another edition of Curtain Call. I got this product from either an Amazon beauty bag or from ULTA. I didn’t get a chance to try it until recently. 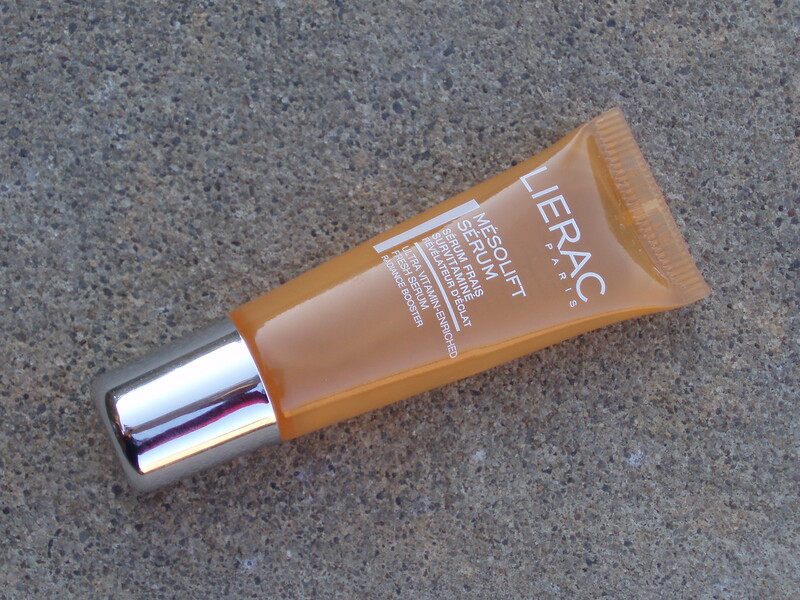 Here’s my take on the Lierac Paris Mesolift Serum. A concentrate of radiance containing 15% mesolift cocktail, enriched with blood-orange extract, for an immediate and universal “pick-me-up” effect: all skin types, all ages, all seasons. What I love about this product? This is one of the best facial serums I’ve ever used and I say that with using it in such a short time frame too (I typically review a product like this after use of about 2 months to really cover its true effectiveness). It is not sticky at all and absorbs pretty quickly onto my face. It leaves my face nicely plump and soft. I do feel like my skin looks like it’s glowing somewhat with use. I did experience a warming sensation with use but it’s not bothersome to me. Like with other facial products, I take it as “THIS PRODUCT IS WORKING!”. I think it might be the high vitamin C content? Not really sure. This small tube lasted about a week and a half or so. I just apply a few drops of it onto my face after washing it both day and night. I didn’t care for the scent at all though but it doesn’t linger really and it’s quite light to begin with. What I don’t like about this product? Probably the price. 1 fl oz of this goes for $60 on their website. I’m debating whether to purchase this or not still. I just might with how I feel about this product. Hey there! How are you guys doing? Fall is definitely in the air. Some nights I can feel it in my bones! Brr! I’ve been busy with work and life in general but I decided to make a post today. Today’s post is another edition of Curtain Call. I got this product from my ipsy June 2017 Glam Bag. 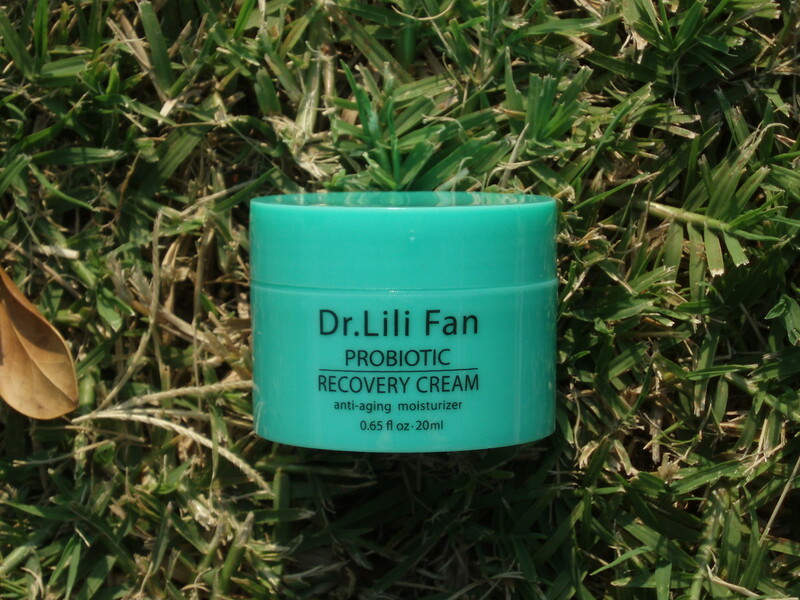 Here’s my take on the Dr. Lili Fan Probiotic Recovery Cream. Restore smoother, firmer, younger-looking skin with this powerful anti-aging moisturizer that helps firm and hydrate the skin, while treating the signs of aging. Loaded with our patented peptides and natural vitamin C, this combination helps to enhance natural collagen reproduction and brighten complexion to a radiant glow…Infuse deep, rich hydration. What I love about this product? It’s a simple to use product that comes in simple but nice packaging. 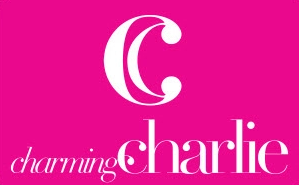 The product itself is a white in color and is of the consistency between a facial moisturizer and a face cream. It’s not thick like what you’d think of a face cream and it leans more to the size of being a facial moisturizer. I personally love the scent so it doesn’t bother me that it’s strong if you sniff it directly. The scent is like a minty floral to me and dissipates fairly quickly after application since it is spread out. I get a warming sensation when I use it — definitely more noticeable the first time. I was bracing myself for burning or some other adverse reaction where I’d have to quickly wash my face but it was just a slight warming sensation that dissipates in less than a minute. I actually love that about this product. It makes me think the probiotics are working! Haha! My face feels so soft and smooth after application. I can’t say my skin is better or younger after use really but I love it.